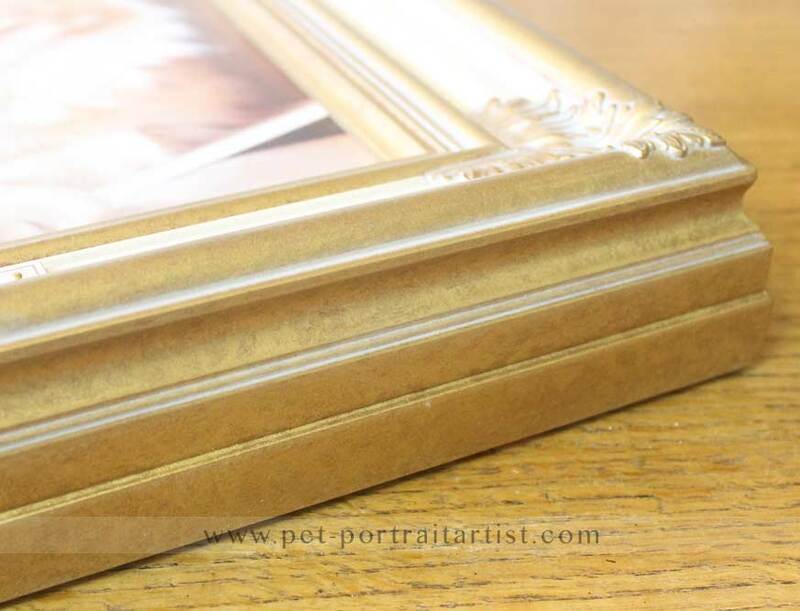 Welcome to our Clarence Cream Frame. This frame is simply stunning. 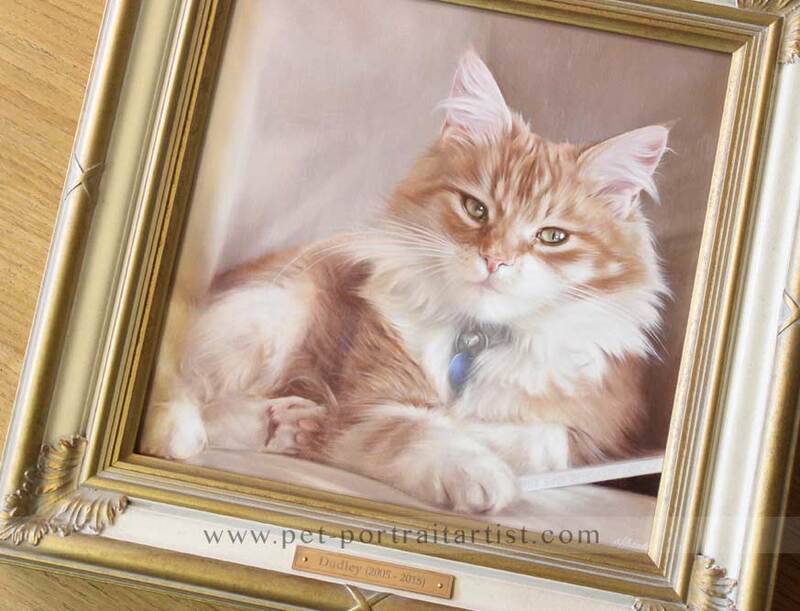 If you are having a portrait with neutral colours similar to Dudley’s painting below or equally with a lovely blue and green summer background with your pet full body in the scene, it would be perfect for you. It can be made to any size and shape. As with all of our frames from this company, they are all hand made and hand crafted bespoke for each client. 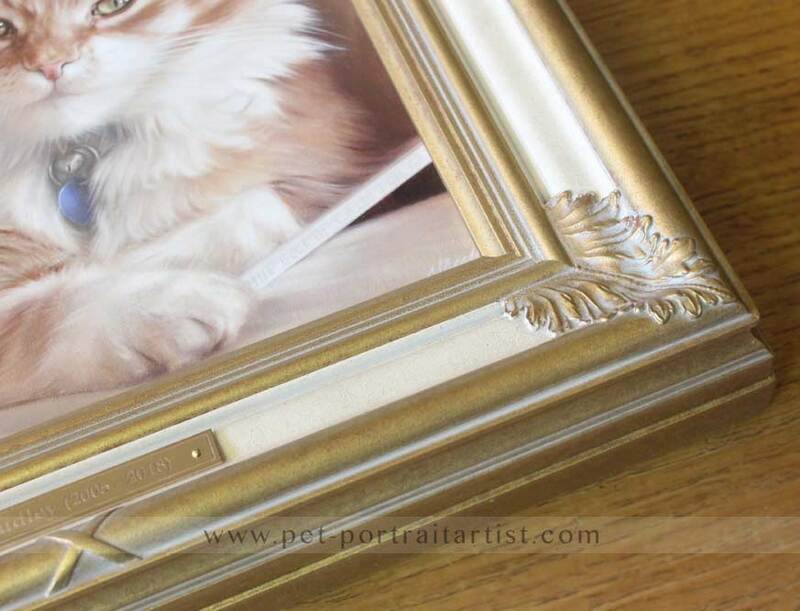 The frames are can be hand finished to any colour too, so if you wanted this design, however painted in cream with some distressing for instance, they can create this for you. 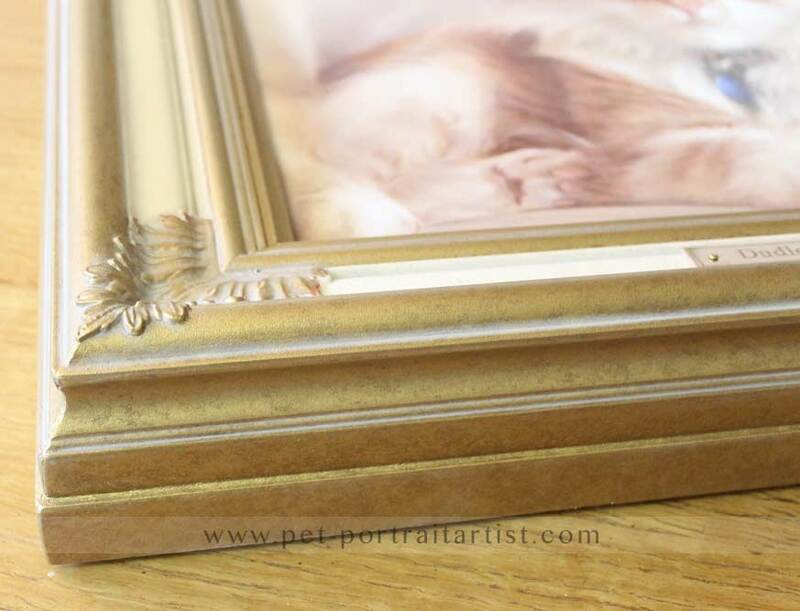 I have taken video of the frame so you can see it in a little more detail, don’t forget to subscribe to us on YouTube and like our videos too! 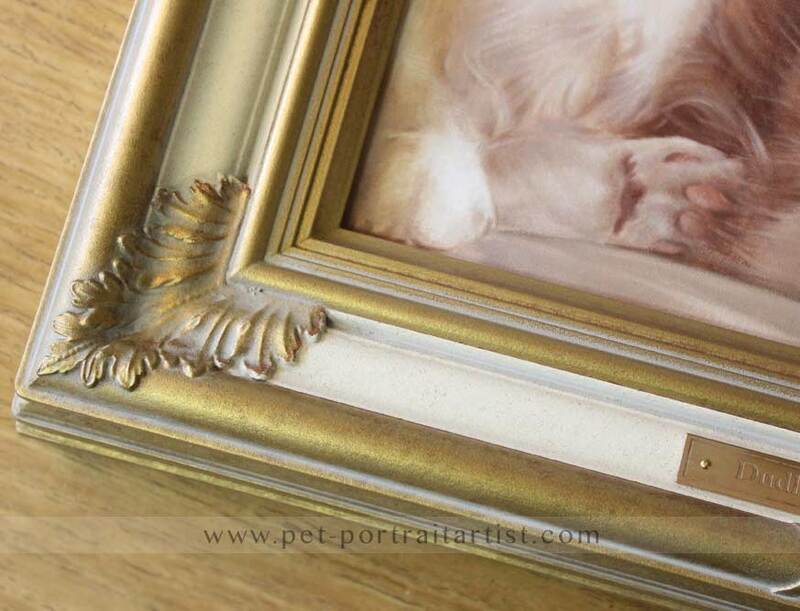 We hope that you enjoy viewing the photos of the Clarence Cream frame, along with Dudley’s painting. 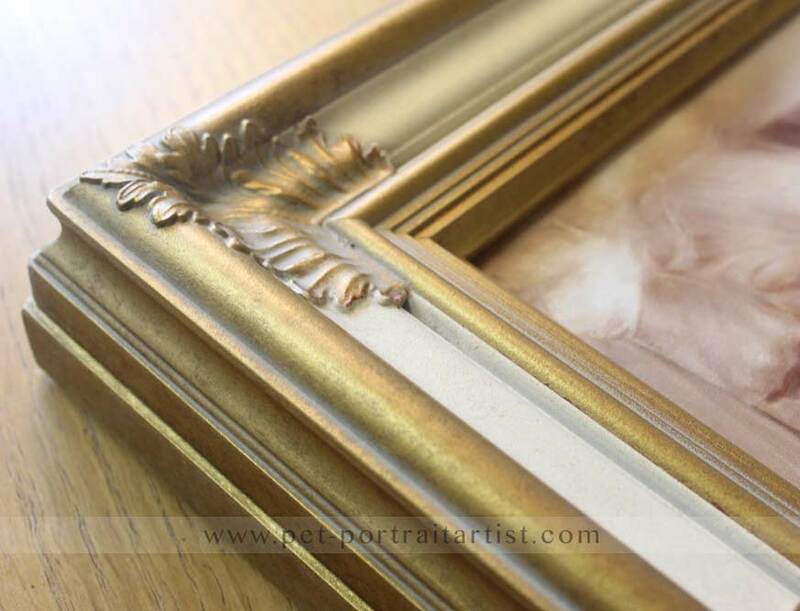 If you are interested in ordering our Clarence Cream frame, please drop us a line at any time and we can obtain a quote for you from our framers. We received Missy Rose this afternoon about 4:00 PM our time. We are so pleased to see her smiling face again, and so beautifully done. We've been reviewing the places on our walls where she should most appropriately hang. I think after framing, she will be on the wall outside my office/library door so every time I enter and leave she will smile at me. Melanie, we will certainly provide pictures of our framing job once complete. It may be 2 or 3 weeks before that job is accomplished. Thank you again, young lady, you've made us happy and you've done justice to our dear Missy Rose. 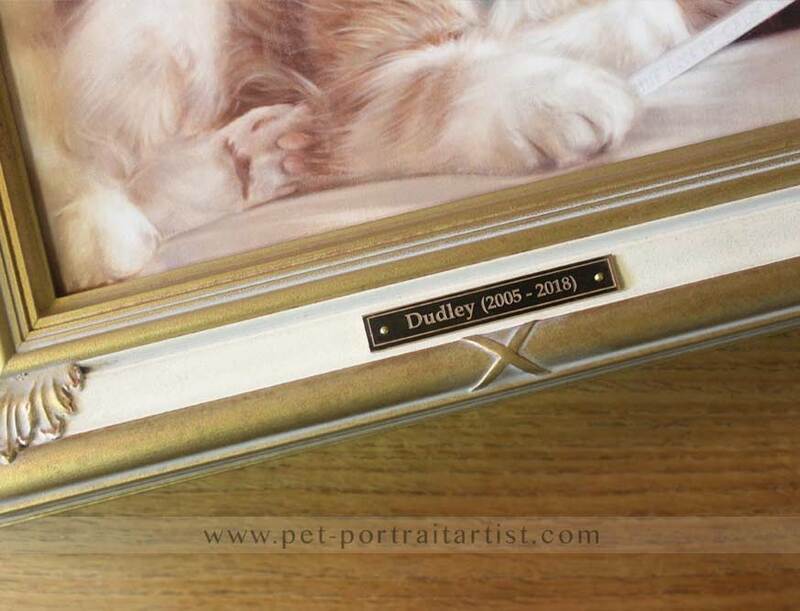 Our Engraved Plaques are a perfect accompaniment both oils and pencil pet portraits.